Lowest-paid staff in social housing sector receive below the living wage, at an average of £7.69 per hour, while Housing association chiefs earn up to 23 times more than rank and file staff. Six of the housing associations that responded to the Guardians requests for data paid staff the national minimum wage. Hanover, Housing and Care 21, Longhurst Group, Metropolitan, New Charter and Radian all had some employees earning just £6.50 an hour. Two thirds of associations reported that they paid at least the higher living wage to their staff. As the Guardian notes: “Despite owning homes funded by public finances, housing associations are not obliged to disclose information to journalists under the Freedom of Information Act. Out of the 100, 54 organisations provided data, seven refused to take part and 39 failed to respond to repeated attempts to contact them.” It may well be that the survey presents on overly positive picture of the sector if associations with something to hide simply refused to respond. A spokesperson for the London based association Family Mosaic blamed cuts for its failure to pay the living wage: “We paid the living wage up to the latest changes in November 2014, but with the continuing cuts to funding in care and supported housing services we have not signed up to the living wage. We would make a loss if we signed.” Other associations do stick to the living wage – Unite is campaigning for all associations to do the right thing by their staff. By engaging in a competitive race to the bottom in pay they make it more difficult for responsible employers to retain contracts. A spokesperson for another London based association, Metropolitan, call for an end to commissioning practices that push providers towards low pay. 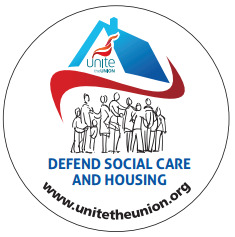 Unite is campaigning for decent sector standards and we would appeal to large providers such as Metropolitan to join with us in that campaign. 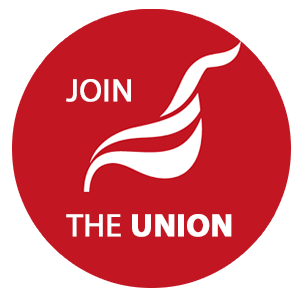 In Scotland a national agreement between providers in the sector and Unite helps to stop destructive competition – Unite invites associations to talk to us about setting up a similar agreement south of the boarder. Meanwhile, as a number of recent disputes illustrate, we will support members who want to fight for decent pay and conditions. Unite branch secretary Suz Muna commented: “associations are making big surpluses – they have no excuse for paying below the living wage. If they are concerned at commissioning practices they should talk to Unite about establishing proper sector standards”. See here for an earlier report on housing association surpluses.